By any standard, Bruce Hornsby has built one of the most diverse and adventurous careers in contemporary music. Drawing from a vast wellspring of American musical traditions, the singer/pianist/composer/bandleader has created a large and remarkably accomplished body of work that's employed a vast array of stylistic approaches, while maintaining the integrity, virtuosity and artistic curiosity that have been hallmarks of his work from the start. The 13-time Grammy nominee's multifarious talents and far-ranging musical interests are prominent on Levitate, which marks the artist's Verve debut. The album's 13 songs span an expansive sonic and emotional palette, encompassing heartfelt insights and absurdist humor, while incorporating a broad assortment of influences within compact song structures. The material ranges from the expansive, expressive songcraft of Prairie Dog Town and In the Low Country to the gently reflective introspection of Invisible and Here We Are Again, with the album-opening The Black Rats of London offering a swaggering treatise on the influence of the rodents, insects and microbes upon key historical events. Such colorful moments help make Levitate a consistently compelling evocation of Hornsby's established abilities, as well as a substantial creative departure. I've always been about finding a place to express my interest in playing the piano within the pop song context, Hornsby explains. But with this record, I felt like I'd done that enough, so this time I really wanted the focus to be on the songs. This record actually has a couple of songs that are under three minutes, which is kind of unprecedented for me. Levitate also demonstrates Hornsby's knack for provocative songwriting collaborations. For instance, Cyclone features resonant wordplay courtesy of legendary Grateful Dead lyricist Robert Hunter. 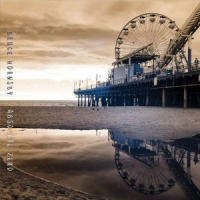 The album's title track, meanwhile, finds Hornsby writing a haunting lyric around a theme originally written by soundtrack composer Thomas Newman for The Shawshank Redemption. And Paperboy and Michael Raphael, both co-written by Hornsby and lifelong friend Chip deMatteo, draw upon Hornsby's longstanding fascination with the language of modern classical music. 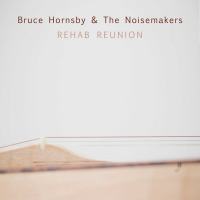 The album is the first Hornsby release co-credited to his longstanding touring band the Noisemakers, an appropriately eclectic outfit that includes bassist J.V. Collier, guitarist Doug Derryberry, drummer Sonny Emory, reeds player Bobby Read and keyboardist John J.T. Thomas. 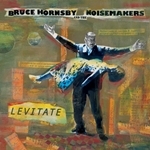 Although Levitate marks a departure for Hornsby in many respects, it displays the same creative iconoclasm that's been a constant in the artist's two-and-a-half decade recording career. His commercial stock soared early on, when The Way It Is�the title track of Bruce Hornsby and the Range's 1986 debut album�became the most-played song on American radio in 1987, winning ASCAP's Song of the Year award. The Way It Is and such subsequent hits as Mandolin Rain and Every Little Kiss, established Hornsby as popular pop act, while high-profile work with the likes of Don Henley, and Huey Lewis made him an in-demand collaborator. Despite his early successes, Hornsby chose to pursue a more personal, idiosyncratic musical path, focusing on projects that sparked his creative interest and musical progress. That direction was manifested in his lengthy association with the Grateful Dead, with whom he's performed more than 100 concerts as guest keyboardist. His work with the Dead encouraged Hornsby to incorporate his interest in musical improvisation into his own performances, while his eclectic musical interests have been reflected in a wide array of recording projects. 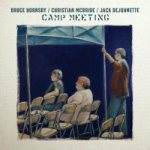 Over the years, Hornsby has successfully ventured into jazz, classical, bluegrass and even electronica, as reflected by such acclaimed recent releases as the bluegrass project Ricky Skaggs and Bruce Hornsby and the jazz trio album Camp Meeting, with Jack deJohnette and Christian McBride. 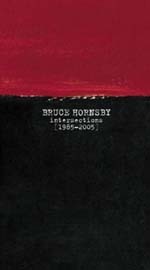 The prestigious list of Hornsby collaborators now includes such diverse figures as Ornette Coleman, Bob Dylan, Bela Fleck, Charlie Haden, Bonnie Raitt, Elton John, Branford Marsalis, Pat Metheny, Robbie Robertson, Leon Russell, Chaka Khan, Wayne Shorter, Squeeze, Tupac Shakur and Sting. Hornsby's deep grounding in American roots music recently led him to return to his alma mater, the University of Miami, to launch the Creative American Music Program. The new program develops the creative skills of young songwriters by immersing them in the multiple musical traditions�including folk, old-time traditional music, blues, gospel and bluegrass�that are the foundation of modern American songwriting. All About Jazz musician pages are maintained by musicians, publicists and trusted members like you. Interested? Tell us why you would like to improve the Bruce Hornsby musician page.